Meet fees are $75 per Varsity gender team and $150 for both Varsity gender teams. (Max 10 runners in Varsity race. Varsity boys must be able to run the course in 27 minutes and Varsity girls must be able to complete the course in 32 mins. If they can't, please sign them up for JV.) With paid Varsity fees, the JV race is $25 per gender for JV team. ($50 with no paid varsity.) This race is being sanctioned for FL and MS schools as well. If less than five runners, the fee is $10 per athlete. Make checks payable to: Daphne High School Cross Country. Checks can be mailed to Daphne High C/O - 9300 Champions Way, Daphne, Alabama 36526. This course will be held at Historic Blakeley State Park. 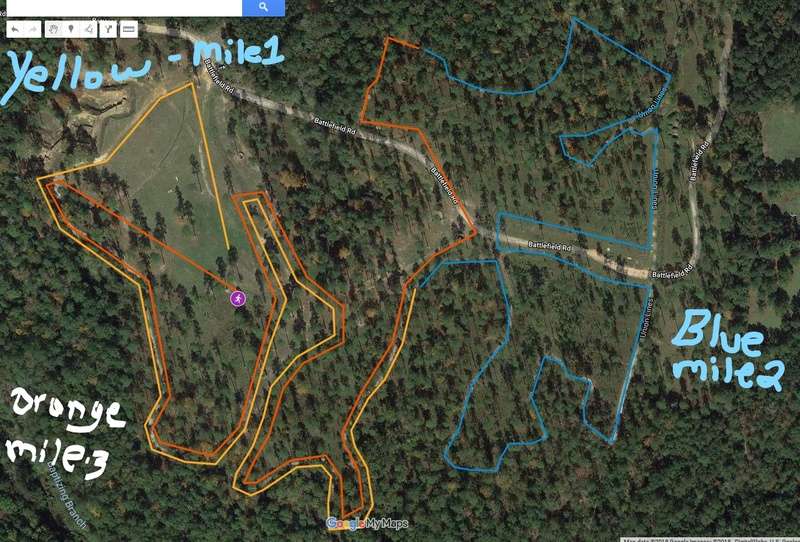 This is a true cross country course and will be run among some woods and uneven ground. The course will be well-marked. JV will run the 5K course this year. There will be bus transportation available to and from the course. $5 per car admission fee. Spectators are encouraged to carpool. Trophies will be awarded to the first and second place teams in the Varsity division. A first place trophy will be given to the top place team in JV divisions. The top 10 finishers of both genders in the Varsity races will receive an award. Top 5 positions in JV will receive award medals as they cross the finish line. Registration: Contact information for this race is Coach Jeremy Davis. He can be reached at jmdavis5@fedex.com.